Learn something new today! Or join the conversation and tell us what you think! Everywhere you turn you are most likely going to see a brand’s logo. Whether you are at work, out and about in town, or even at home - logos surround you in your day-to-day routine. Take a second and look around you. It’s almost as if you can’t get away from them no matter how hard you try. Why are these pictures and words on products so important? Could you even imagine what your favorite product would be without that packaging design? As a business owner or a designer, it is very important to know what the purpose of a logo is and why it matters so much in making your business successful. The primary purpose of a logo is brand recognition. You want to give people a visual representation of your brand. If it is compelling enough, it is something that will become ingrained in the minds of society and build success on the familiarity that people have with it. This one very special component of your company should be representative of your brand as a whole. Take the Nike Swoosh for example - when you see it, it is nearly impossible to NOT to think of their brand. Logos should be looked at as a strategic business tool. As much as the designers of the world want to run wild and create the best piece of art for a business to use as their symbolic brand representation, it should have a strong strategic foundation to stand on. As you go into brand development and design mode, you might ask yourself, “How can this symbol stand out amongst the rest and does it have the potential to “play with the big dogs” like Nike and Apple?” The key here is not to overthink it. When developing the logo design, simplicity is often key. The nicest thing about having some type of non-typographic symbol as your logo is the universality it has. Not only can it develop brand recognition in its native place of creation, but it can become recognized in places and cultures world-wide. You want to design something easily identifiable to the consumers' eye. Think of yourself walking down the busiest street in San Francisco, Healdsburg, Sonoma County, or any city big or small - what brands catch your eye? Maybe the ones you are most familiar with, or the ones with the brightest colors and intriguing pictures… Whatever it is, these are all factors that should go into your design process. As David Airey says in his book Logo Design Love, “A logoless company is a faceless man.” This means so much in your business’ creative brand development and something that should not be overlooked or come as an afterthought. Brand logos often influence buyer decisions. When thinking of your logo as a business tool, communicating the brand’s values and any additional meaning may effectively elevate efforts on sales, digital marketing and design. Let’s pretend for a moment that you are at the grocery store shopping for coffee. Now, you might have your go-to, and if you don’t you might pick one that you are familiar with (even if it’s just the name brand). But, what if you wanted to try something new? The options are endless and how do you choose one? More often than not, consumers are influenced by brand packaging and design when in the decision making process. They are left (almost) clueless if unfamiliar with the brand and may only shop by logo design or packaging. The common question people ask themselves is, “What looks good?” It is crucial for business owners and the creative team to keep this in mind when working with the logo. By understanding the role of a logo design in your brands' development, you will be able to create strong brand identities that will perform for the business, rather than just creating a pretty picture. The logo that you create will be seen on almost all print and digital tools used for your business, including business cards, Sales POS, newsletters, signage and more! Are you looking for someone to help you strengthen your web presence with design and digital marketing? Take your business to new heights - let’s discuss working together!  It’s hard to believe but Left Coast Marketing & Design is celebrating it’s 10 year anniversary this month! It seems like yesterday that we launched our first client website selling imported wine online and producing photography and other digital media to support the sales effort. Does anyone remember what was happening in March of 2008? Well things weren’t exactly bright and rosy as our economy was on the brink of disaster, but we had no idea that the worst was yet to come. A great recession, housing crisis, and a global market meltdown later...we finally made it through the gauntlet. To say the least it has been a wild ride as a small business here on the Left Coast with lots of peaks and valleys...but I am happy to say we are here to stay. The Prequel Part I -> 2006: Dan co-founded a company called Artisan Media which was a leader in the video marketing space for the food & beverage industry. With co-founder David Elkins they produced documentary style videos with winemakers and culinary professionals broadcasting to a video streaming platform that was gaining quite a bit of attention called YouTube. While videos were so much FUN to make the gigs were few and far between so to make a few extra bucks they starting a photography services called Bottle Shots. LOVE WHAT YOU DO. The Prequel Part II -> 2007: After acquiring 100% ownership of Artisan Media (which in today’s dollars could hardly basically afford you a MacBook Pro) Dan launched a wine industry digital asset management platform called Wine Media Kit. With all of this video and photography we were producing we needed a better way to store and access the files in the global marketplace. Again, we were on to something very big...until a small company called DropBox came up with a pretty darn good solution of their own. PROJECT MANAGEMENT IS IN OUR DNA. The Beginning -> 2008: Left Coast Marketing & Design was founded in March of 2008 by Dan and Stacey Chapin. Anyone who knows us won't be surprised to learn that it was the only name we could agree upon. Our original business model established to provide direct marketing support for an import wine brand -> specifically a dry pomegranate wine from Israel called Rimon Wines. When our client/partner decided to abandon the DTC sales operation we inherited a website and inventory to sell. Of course, this came with a new requirement that we purchase purchase the wine from our customer as a distributor a resell it as a retailer. Let me tell you that sales were great and marketing wine online at that time was a piece of cake! If we only knew what we were getting into...unfortunately we ran out of “pay dirt” for Left Coast Marketing & Design when our business partner stopped importing the wonderful Rimon Wines merged the two companies under LMC umbrella to provide Digital Marketing and media production services. It was at this time we also decided to focus more on creative services and less on software programing. CUSTOMER SERVICE IS OUR #1 SERVICE. The Big Break -> 2012: After bidding on several large projects to help us take the leap...we landed facebook wine marketplace account working with Wine Direct and building a photography studio inside of the Wine Direct warehouse which was originally going to house the Amazon wine marketplace digital media production. In less than 6 months we shot over 1,000 product images which allowed us to quit our day jobs and focus 100% on our fledgling creative business. There are several mantras that we hold dear at Left Coast Marketing & Design which will be the subject of another BLOG...but back in 2012 we started to develop our CORE VALUES that we hold dear today. LIFE + WORK = BALANCE. Expansion Part I -> 2013: Many of our clients were in need of help to support their sales & marketing initiates beyond our digital media production services. After referring enough of them to other design agencies we decided that it was time to make fulfill our clients needs by expanding our superpowers. We launched print design and custom publishing services. This has been the best decision we made although it was also the first step in taking our business to the next level. CUSTOMER SERVICE IS OUR #1 SERVICE. Diversification -> 2015: As our company grew we saw value in expanding to other industries to bring our ideas and best practices to other small businesses while staying 1-degree of separation from the wine biz. Expanding from the wine industry we found ourselves gravitating to specialty food and beverage, hospitality, retail, and even real estate. What we did not expect is that our knowledge based also expanded and we brought ideas and best practices back to our wine industry clients. It is this diversification coupled with deep experience in knowledge within the wine industry niche that forged the creative superpowers that we have today. LOVE WHO YOU WORK WITH. Expansion Part II -> 2016: Following our Core Value #1 that CUSTOMER SERVICE IS OUR #1 SERVICE we finally added Website Design & Development to our list of service offerings in order to solidify our holistic marketing and creative service value proposition. This new offering fit into our company culture so naturally it seemed to be the piece we were missing all along. And the best part...we welcomed Tony Immordino from Wine Minded Design and his right hand man Stan Tausan into the Left Coast team! CUSTOMER SERVICE IS OUR #1 SERVICE. Onward and Upward -> 2017 through to Today: Our team started to grow and our core team members began to spread their wings! Left Coast Marketing & Design's veteran graphic designer Chelsea Bond was promoted to Lead Designer for the print design portfolio. Sarah Seabourne, SSU graduate, has spearheaded the new chapter of Digital Marketing Services. Jon Strachan our newest member, is project manager and quarterback when it comes to organization and getting the job done. He also has a design background which lens itself well to understand the creative process and our clients needs. Everyone has a different set of superpowers so I will save that for another BLOG post...but in closing we just want to say THANK YOU to all of our clients, many of whom are still with us since the early days, and we are so grateful for the opportunities we have been blessed with the the amazing team that carries the Left Coast Marketing & Design flag today. LIFE + WORK = BALANCE. OK...that's it. Don't forget to RSVP to our 10 year Anniversary party and we hope to see you there!! Choosing a creative agency to represent your unique brand is like taking on a business partner, and here at Left Coast Marketing & Design, we aim to approach every new client with dedicated service and expertise that gives your business the competitive edge. Print Services start with an idea or a concept. Our in house professionals will be ready to run with your print-ready file or, will work with you to develop the print item to meet your business needs. Number 1: Business Cards. Even with our modern lifestyle of everything digital, handing a prospect your business card can make your first meeting personal and genuine. A well designed business card is the first impression of your brand. Number 2: Stationary. Like your business card, your stationery may be the first thing a prospect sees with your brand. Stationery is not only your letterhead, but may also include items like: envelope, labels, invoices, thank-you cards, and presentation folders. Stationery makes your business look professional and credible. Number 3: Brochures. Brochures are versatile and can be distributed in racks, waiting rooms, mailed or handed out at trade shows. Your message can be focused and precise with a specific call to action. With short-run digital printing, brochure printing does not need to be a major expense. Whether it's wine, retail, hospitality, specialty food & beverage or real estate, we are here to help you with your next print project! A 10% discount will be given for ALL new clients and local Healdsburg businesses. Social media is one of the most cost-efficient digital marketing methods used to syndicate content and increase your business’ visibility. Implementing a social media strategy greatly increases your brand recognition. Think about it. These platforms allow you to engage with a broad audience of consumers beyond the walls of your business. Think BIG and implement SMALL. Starting with a small budget will allow you to execute a social media advertising campaign. You will immediately begin to see what ads are effective and what audience they are effective with. As you become more comfortable, fine tune your strategy and try increasing your budget. The conventional wisdom is that everything print is dead, but plenty of people didn’t get the memo. Print media, such as direct mailers, catalogs and even magazines, allow for unlimited exposure. Tie-in some Targeted Print Advertising, and your promotional budget just got more efficient AND effective. Remember! Match your message with the interests of a niche print medium’s subscribers and you’ve got a win.